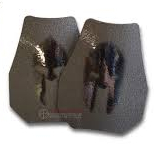 The Beez Combat Systems Spartan Armor Systems Armaply Swimmer low profile plate carrier was designed for Spartan Armor Armaply Swimmer ATC Levell III+ Extreme Lightweight Steel Core Body Armor. 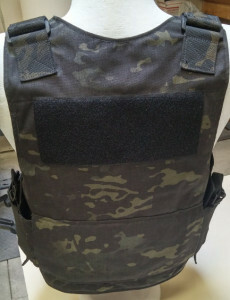 The front of the plate carrier has a large velcro loop field for ID, Name tape and moral patched. There is plenty of velcro loop for proper adjustment with the low profile elastic cummerbund. The side profile picture you can see how the Spartan Armor Systems Armaply Swimmer Plate Carrier holds these plate like a glove. 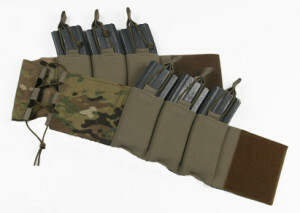 These plates are triple curve.The low profile elastic cummerbund is 4″ mil-spec elastic. It is very durable. Both ends of the elastic cummerbund have velcro hook and loop for adjust-ability. The back was left as slick as possible to minimize signature. There is also plenty of velcro for adjustment. 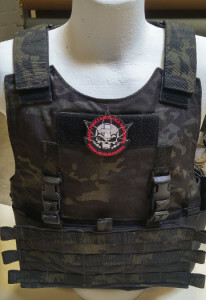 The Spartan Armor Systems Armaply Swimmer Plate Carrier Low Profile is available in MultiCam, MultiCam Black, A-TACS AU, A-TACS FG, Kryptek Highlander, Kryptek Mandrake, Kryptek Typhon, Coyote, Khaki, Ranger Green, OD, Wolf Grey, Woodland and Black. The Grand Forks Narcotics Task Force reached out to us when they were in need of a new custom armor and load bearing system. They needed a low vis armor carrier that could carry front and rear 3A soft armor panels as well as front and rear rifle plates. 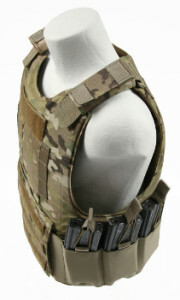 We went to working customizing our standard BALCS LVBC body armor carrier to fit their needs. 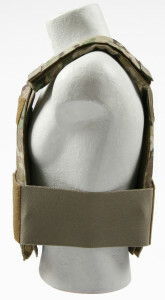 The additional requirement was a load bearing system that can be worn stand alone or clipped into the armor carrier. Our TLMP (Tactical Load Mount Platform) can perform this function with the correct H-harness and field replaceable buckles. 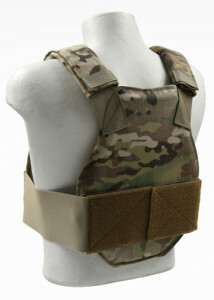 The TLMP can be mounted to the vertical webbing on the carrier with QASM buckles or G-hooks. 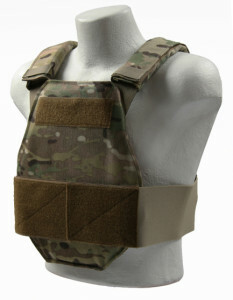 This allows for a very low profile carrier until a need arises to go full tactical. The custom BALCS LVBC carrier is utilizing our 3 cell elastic cummerbund just like the one on our standard BALCS LVBC body armor carrier. This allows up to six mags. Three mags per side if needed. The cells can be used to hold a radio, first aid kit, handcuffs…etc. 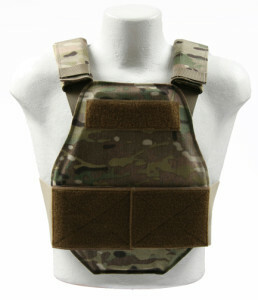 If you, your department or agency is in need of custom body armor carrier we are here to help. If you need to keep up with ever changing camouflage trends we can do that as well. 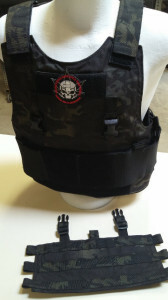 Our custom body armor carriers are available in the following colors: MultiCam, MultiCam Black, A-TACS AU, A-TACS FG, Kryptek Highlander, Kryptek Mandrake, Kryptek Typhon, Coyote, Khaki, Ranger Green, OD, Wolf Grey, Woodland and Black.